Canadian Atheist’s columnist Scott Douglas Jacobsen talks to Jeanne Arthur, the President of Dying With Dignity ACT. Here we talk about her life, work, and views. 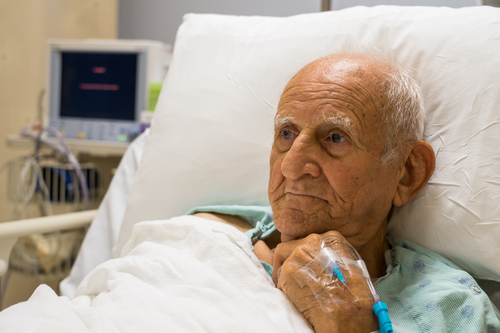 Continue reading"Interview with Jeanne Arthur – President, Dying with Dignity ACT"
Assisted suicide is still prohibited by law in many countries. Free and responsible citizens continue to be patronised and prevented against their will from ending their suffering and life in a manner they personally consider dignified. Relatives and friends who respect the wish of a seriously ill person to die and who give him or her their support are still being treated as criminals. 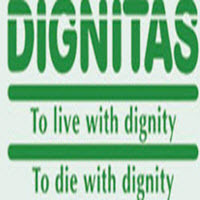 Continue reading"DIGNITAS Newsletter – November 2018"
The organization, Dignitas continues to assert the right of people to make their own decisions about when they should die. Legal cases in Germany and in England are confronting the long held prejudice against human beings taking control of the timing of their deaths. Continue reading"A big Step forward, but more needs to follow"
Religion always has a way of taking the least loving side when it comes to controversial issues. Love between two people? If they’re gay, pastors will throw a hissy fit. Women seeking an abortion after being raped? Some Christians will argue they shouldn’t be allowed to have that option. Continue reading"Catholic Bishops in Alberta Tell Priests to Refuse Funerals for Patients Who Choose Assisted Suicide"
Continue reading"The Swiss model of assisted dying and DIGNITAS’ work with the ECHR"
At the World Federation Conference held in Amsterdam in May this year Dying with Dignity ACT Inc. president compared the ACT Crimes Act legislation with the ACT Human Rights Act legislation to show that the Crimes Act legislation discriminates against those people who wish to die. While it is legal to end one’s own life, the law forces people who wish to make this legal choice into hanging, gassing, drowning themselves as well as retaining the discriminatory language associated with the choice by continuing to call their choice ‘suicide’ and them ‘suicides’. She has proposed that we need new language to discuss the choice to die. She proposes to call this choice an Elective Death and outlines in the speech following how it would work in practice to make a choice for death that would alleviate the suffering of those who make this choice and those who are forced to endure the long slow process of dying that is forced on us all by the law because politicians refuse to consider any alternative.